Forage production in 2016 was challenging as the cool spring delayed early growth and was followed by a hot, dry summer before rains returned in August. 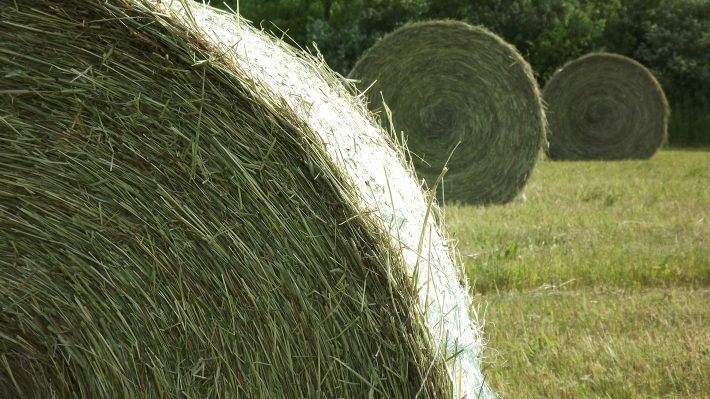 While hay inventories are below average, most of the hay harvested was high quality. This year has seen an increase use of cover crops for emergency forage and fall grazing. More corn has been harvested for silage than originally planned. Farms that can utilize straw or corn stover are doing so in order to extend stored feed. In 2016 there was very little winterkill observed across the province, mainly due to a very mild winter. The cool weather in March, April and into May reduced alfalfa growth and delayed first cut by approximately 7 to 10 days. This fall saw a lot of fields cut during the critical fall rest period. Depending on when the killing frost comes, fields that were harvested up to 6 weeks prior are at an increased risk of winterkil. Other risk factors such as 3 year old(or older) stands, low potassium or pH, poor soil drainage, fields that had disease or insect issues, weather, ponding, and lack of snow cover, can increase the risk of winterkill and fields with multiple risk factors should be monitored in the spring. Fertility levels on many fields continue to cause yield drag. Phosphorus levels less than 12ppm and potassium levels less than 120ppm can significantly lower yields. Sulphur has continued to show up in plant tissue tests as a yield limiting nutrient. If plant tissue tests were completed when the alfalfa was at normal mowing height and at the late bud stage, sulphur levels under 0.22%, indicate a deficiency. A soil sampling program should be implemented to monitor soil fertility levels. Fall applications of fertilizer or manure are most beneficial if applied directly after the final cut of forage and should be avoided in late fall when risk of snow and frozen conditions are increased. A dry spring provided the opportunity for new seedings to be planted into good soil conditions. However, lack of rainfall resulted in variable establishment, especially where packing for good seed-to-soil contact was insufficient. Summer seedings completed during optimum seeding dates in August appear to have been very successful as there was adequate moisture. Summer seedings do not have the yield drag associated with first year forages and will produce to their potential next year. First cut yields were fairly average across southern Ontario. Due to the cool dry weather in April and May, alfalfa maturity was delayed by 7 to 10 days. First cut quality was excellent. The dry weather provided the opportunity to cut at the proper maturity and the majority of the first cut was harvested without rain and at the correct moisture levels. Across most of Southern Ontario, second and third cut yields were extremely variable depending upon precipitation which varied widely across the province but were typically below average or non-existent. Quality of hay was excellent, as rainfall did not impact harvest timing and the hay was taken off at the correct moisture. 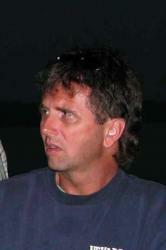 When alfalfa was allowed to go to full bloom, quality declined and yield did not significantly increase from 10% bloom. After the rains returned in August, there were a lot of fields harvested one more time, and many of these were harvested during the critical fall harvest period as the need for high quality forage outweighed the risk. This cut had excellent yields for the time of year and made high quality forage. This spring saw farmers having winter rye for grazing, and animals were out on those fields up to 2 weeks before their permanent pastures were ready for grazing. Pasture regrowth was slow this year due to the hot and dry weather and the benefits of rotational grazing were very visible as they managed to graze longer before the pastures dried out. Pastures where the growth left behind was still 7-10cm (3-4in) when animals were moved after 1-3 days saw more regrowth over the course of the year and less hay fed. In order to accomplish this the rest period during the summer was 45 days or more. Farms on permanent pastures were supplementing feed for up to 12 weeks while intensively managed rotationally grazed pasture were supplementing hay for 2-3 weeks. During July there were reports of water holes drying up and cattle on pasture requiring additional water. Cover crops are being utilized to extend the grazing system into the fall and corn stalks are providing a forage source for a growing number of producers who prefer to graze. Grazing animals on corn stubble reduces feed costs, breaks down the stover and reduces the amount of hay required over the winter. Corn stalks can provide an excellent fibre source for non-lactating animals. Corn Silage production was very variable across the province, from very low to average yields. The grain content of the corn silage was also variable; with starch levels running from 5% to 35% (28% is normal). Silage with low starch levels has low grain content and will require additional supplementation. Silage with high starch levels is typically associated with lower yields or a high grain:stover ratio and needs to be managed to avoid acidosis. 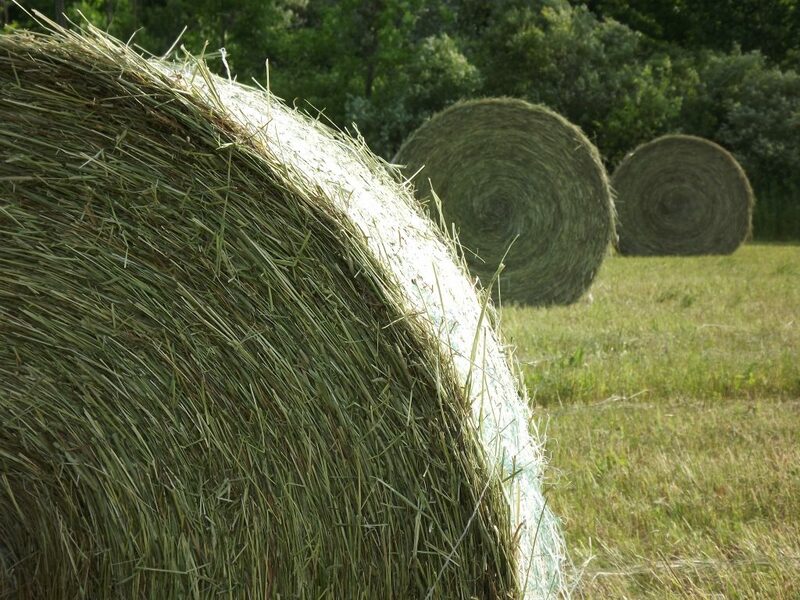 In areas short of hay, additional acres of corn were harvested for silage rather than grain. With the reduced forage yields, there has been an increased interest in the use of cover crops for emergency forage as haylage, balage and grazing. The most popular cover crops are small grains (generally oats, but also barley and triticale) or a small grain and pea mixture. Peas increase the protein and energy content of the feed. Italian ryegrass was also used as it produces a higher quality feed than small grains and can be harvested once in the fall and again in the spring. Turnips and brassicas were added to mixtures of cover cops that were destined to be grazed in the fall. Fall rye and winter triticale are also seeing a boost in acres this fall as producers are looking for an early season forage. Fall rye and winter triticale can be planted following corn silage, grain corn or soybeans. They can be pastured in mid-to-late April if they are planted on dry ground, or cut for hay around mid-May.